GSMA launched further details regarding the Mobile World Congress 2016, which included just announced keynote speakers, activities and programmes to take place at the must attend mobile industry annual event. GSMA Mobile World Congress will take place during the 22nd to the 25th of February 2016 at Fira Gran Via in Barcelona, along with some events also taking place at Fira Montjuïc. 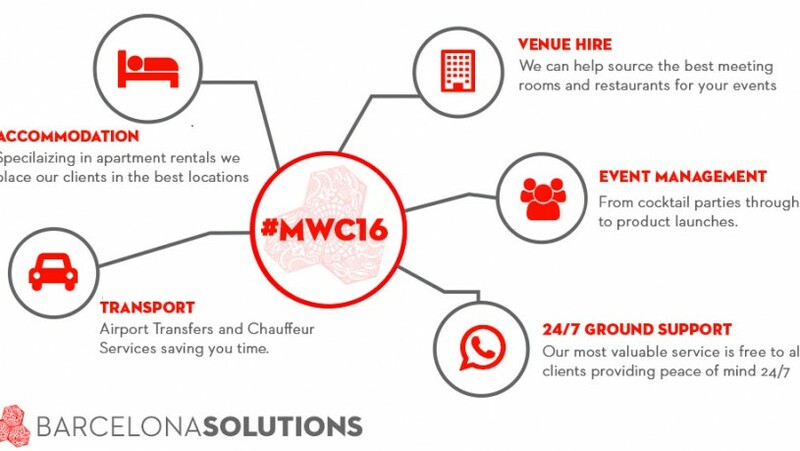 New for 2016, the GSMA has introduced the MWC Tours programme, supplying a series of venue tours to address the explicit needs of different audiences at Mobile World Congress. Run by experts in their subject matter, Industry Topic Tours will offer insights in key industry focus areas such as the IoT, 5G, Retail, Media, and Security highlighting Mobile World Congress exhibitors active in these areas. Orientation Tours are webinar-based virtual tours designed to help attendees new to Mobile World Congress navigate the venue and identify the activities, exhibits and programmes that will meet their individual needs. Partner Events – New partners hosting events in the Theatre District include Adobe, with a half-day programme on Monday, 22 February, and Freescale, who will hold a half-day session on Tuesday, 23 February. Professional Training – Award Solutions, the Technology Training Partner of Mobile World Congress, will offer training events on the latest network-transforming technologies. On Tuesday, 22 February, they will host “Learn about LTE – Advanced, Cloud RAN and 5G”. On Wednesday, 23 February, they will hold “Learn about Network Virtualisation with SDN, NFV and Cloud”, with specific sessions that cover technology fundamentals and network performance, as well as mobile capacity and availability planning. Professional Training events are open to all Mobile World Congress attendees. At Mobile World Congress, the GSMA hosts a range of seminars designed to provide insights and updates on key GSMA and industry initiatives. GSMA Seminars will be held across the four days of Mobile World Congress and will focus on topics such as Connected Living, Connected Women, Digital Commerce, Digital Inclusion, Disaster Response, Mobile Money, mYouth, Network 2020, Personal Data/Mobile Connect and Spectrum. The GSMA Seminars will be open to all Mobile World Congress attendees and schedule of sessions will be available in the coming months.